By now, everyone has heard the news. Yes, that news. 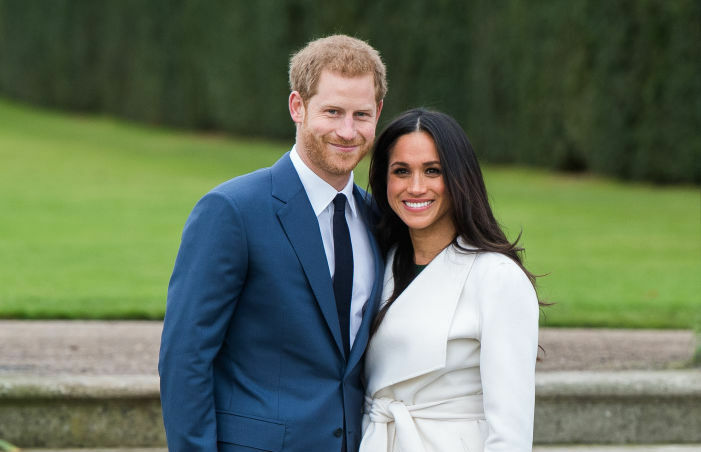 Meghan Markle and Prince Harry are engaged!!! That’s worthy of a few exclamation points. We knew the news was coming soon, as Meghan shut down her lifestyle site earlier this spring and it’s been reported that she’s leaving Suits. But the pair finally announced their engagement and we couldn’t be happier. The wedding countdown has officially begun. Here’s what we know so far. Meghan and Harry gave us a glimpse of Meghan’s gorgeous engagement ring, which features diamonds from the late Princess Diana. Also, we don’t have a firm wedding date, but we do know they’ll be getting married in Spring 2018. So now, the natural next question is, what will Meghan wear? We have a few months before spring 2018, so to hold us over until then, below are a few dresses we can see Meghan wearing on her royal day. 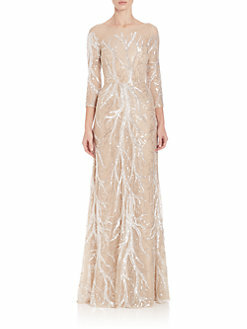 Sequins and just the right amount of sparkle, fit for a princess. The price tag is staggering, but hey, it’s a royal affair and the world will be watching! Maybe she’ll surprise us with a super simple style and trendy cut-out shoulders. The tiers of lace have such a romantic vibe. 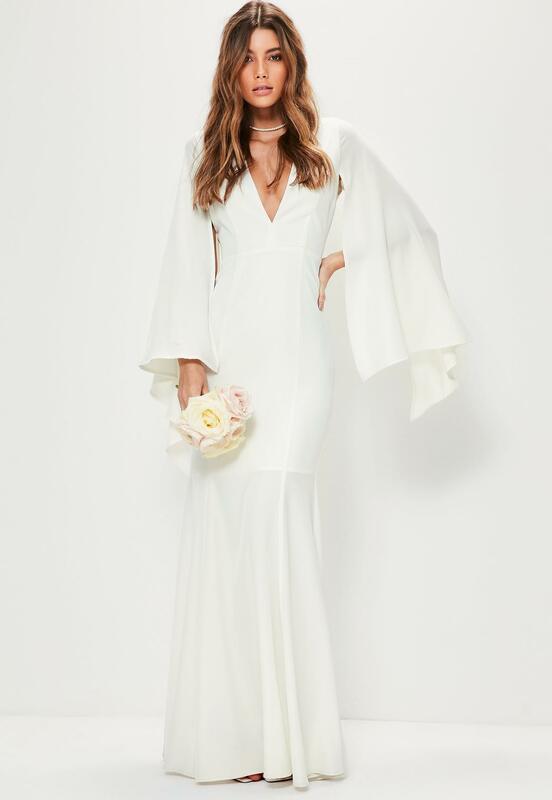 A simple slip dress would be perfect with a dramatic veil. Meghan has an effervescent, cool-girl vibe and we can seriously see her in a floral number with light hues. Every princess needs her princess moment, and that’s exactly what this A-line satin dress is. 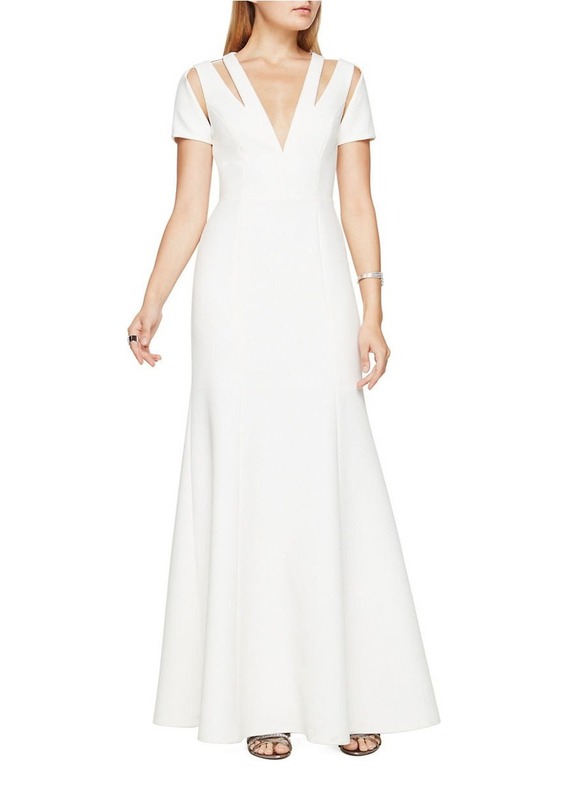 Maybe she’ll rock sleeves, like future sister-in-law Kate Middleton, but with a Cali-girl vibe. 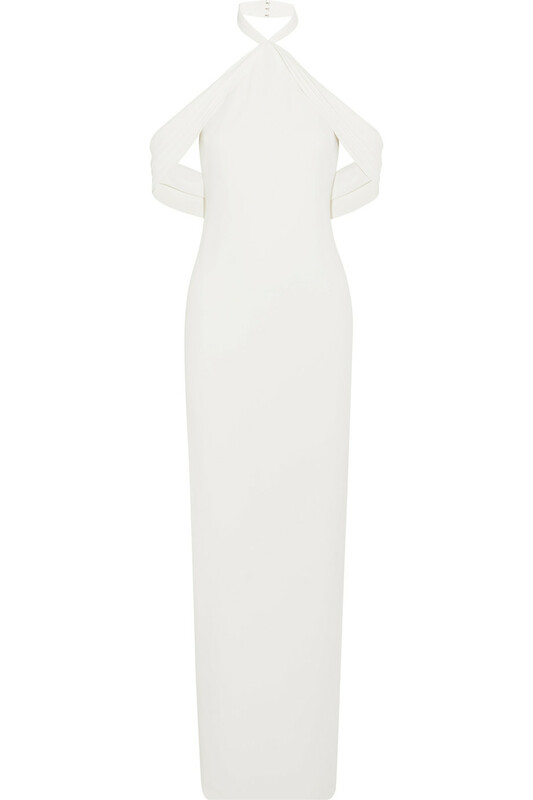 A classic column dress gets a major update thanks to the draped shoulder.